Please caculate your project price by filling the display size below. The best price above is for EXW term and 2-year warranty. It includes receiver card. For 15 square meters, it includes sender and receiving cards and flight cases. 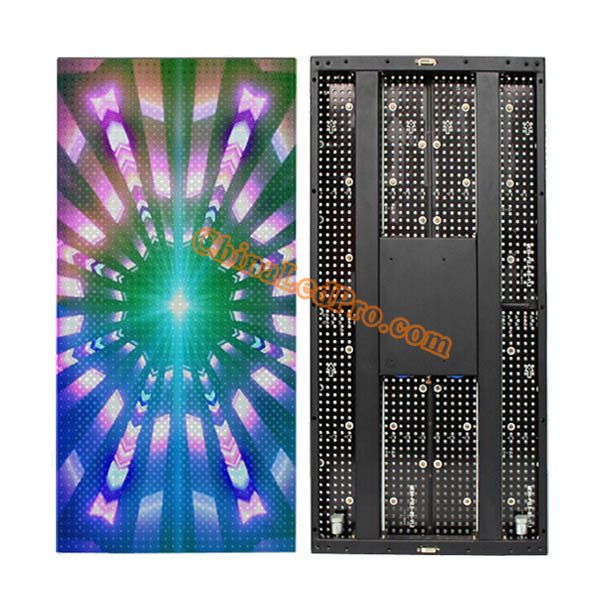 P12.5mm indoor LED mesh screen wall is specifically designed with light weight and quick installation in mind for staging and rental market. Its setup time is significantly reduced and one technician can safely install a 400 x 800mm panel on his own. And it can also be easily boxed and shipped. These cost-effective P12.5 LED curtain display panels are ideally used to present large scale video walls or backdrops with high image quality for different kinds of indoor stages. The best price above is based on one panel size of 400 x 800mm, EXW term. It is included with receiving card and necessary cables. The production time with aging test is 16 working days. 8. Ideally suited for side or sky screen for stage.